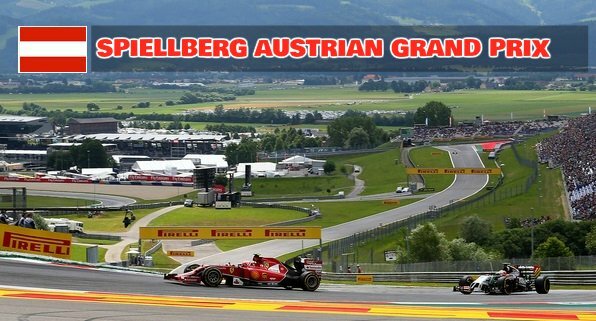 2017 Formula 1 season move to the second half of the season with Austrian Grand Prix taking place this weekend at the famous Spielberg circuit from Friday, 07 July to 09 July 2017. Ferrari and Mercedes have so far matched each other one way or the other and Sebastian Vettel leads the drivers Championship with 153 points thats 14 ahead of Lewis Hamilton. After controversial Azerbaijan Grand Prix it will be interesting to see how Vettel-Hamilton rivalry go from here to end of the season. Mercedes are not having their way this season and that was evident from the start but they still have the fastest cars but Ferrari and Red Bull look to have turn things around and are much more competitive this season compared to previous few years. Lewis Hamilton was livid with 10 second penalty awarded to Vettel in Azerbaijan and that is sure to stir up the rivalry between the both riders and teams. This track has a long history and it was known as “Österreichring” which hosted Formula 1 races in 17 straight seasons from 1970 to 1987. After that it was revamped and appeared in Formula 1 calendar after 10 years of absence in 1997 and hosted grand prixs till 2003. Another massive renovation delay, Red Bull bought the circuit and completed the renovation and opened up in May 2011 with a new name “Red Bull Ring”. Alan Prost is the only driver in history to have won more than two races at this circuit his three wins came in 1983, 1985 and 1986. 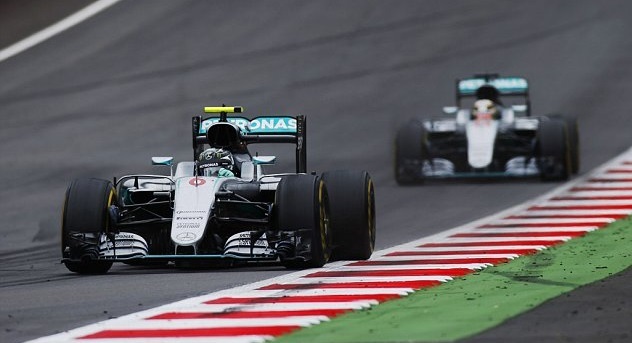 Nico Rosberg has the chance of equaling Alan Prost three wins record here if he can win the race on Sunday. Nico Rosberg can equal Alan Prost’ three grand prix wins in Austria if he can manage his 6th grand prix win this season. Looking ahead to the weekend, Nico Rosberg will be hoping to continue his qualifying dominance as he has yet to finish outside the top 2 in qualifying this season. Lewis Hamilton however has been far more in-consistent but he has to put things right as we move to the business end of the season, if he were to retain his F1 title. Sebastian Vettel will be celebrating his 29th Birthday this weekend and a surprise win here might be on the cards if Ferrari can finally device a winning strategy. Austrian Formula 1 Grand Prix Qualifying and Race Results: The qualifying will be taking place at the traditional saturday afternoon, 02 July and we will have complete qualifying results and replay video right here on this page after the race is over. 2016 Austrian Grand Prix Review: Now the points gap between the top two is only 11 points and as we move to the second half of the season, Lewis Hamilton will be confident of his chances. Next grand prix will be in Britain next weekend and it might prove to be the turning point if Hamilton can grab another win. After the race both drivers kind of blame each other but looking at the replays its so clear that Nico Rosberg failing to maintain his lead, tried to push Hamilton on the outside. Mercedes bosses were said to be furious at both drivers and they had quite a stern words for Hamilton. For the most part race played out as expected where Hamilton lead the race after starting in pole position but Rosberg found himself leading after Vettel forced out and some dodgy pit stop by Hamilton. Going into the final lap Rosberg was leading the race and Hamilton tried to close the gap, Rosberg felt pressure and crashed into Hamilton on the outside that damaged his car as Hamilton raced to the surprise win and to make things even worse for Rosberg he lost two more position by the time he finished the race. Now with 9 races played out, the championship standings looks as many people had predicted. Both Mercedes drivers are fighting it out for another title with only 11 points seperating top two while Ferrari duo of Vettel (96 points) and Kimi Raikkonen (96 poins) takes third and fourth place in the standings. Spielberg will host the third Formula 1 grand prix in last few years at the Red Bull Ring circuit this weekend from Friday, 01 July to Sunday, 03 July 2016. Its a massive grand prix as far as the Formula 1 title race is concerned. Nico Rosberg won his fifth grand prix in Baku couple of weeks ago which takes his points tally to 141, 24 ahead of Lewis Hamilton who has 117 points with two grand prix wins. Ferrari’s Sebastian Vettel has 96 but its unlikely he will break the dominance of Mercedes duo. At Azerbaijan Vettel committed two driver errors but only received penalties for one. Does this mean a driver can attempt to puncture another drivers front tyre and is not punished?